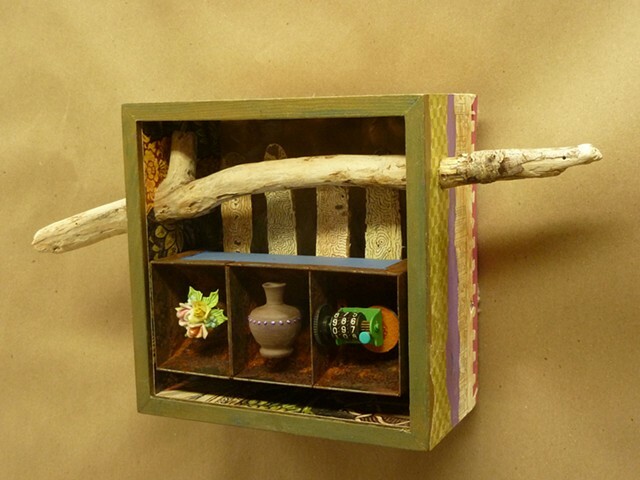 This piece is made up mostly of things I found in thrift stores. The inside is laminated with a poster from a Buddhist monastery in Cambodia. The inside backing is fake fur and the rusted coin tray was found at a funky junk shop east of Airway Heights, WA. The stick was found on a beach in the San Juan Islands.